IPI Turkey National Committee Chair Kadri Gürsel (second from R) accepts the Izmir Journalists Association Press Freedom Prize on behalf of IPI. 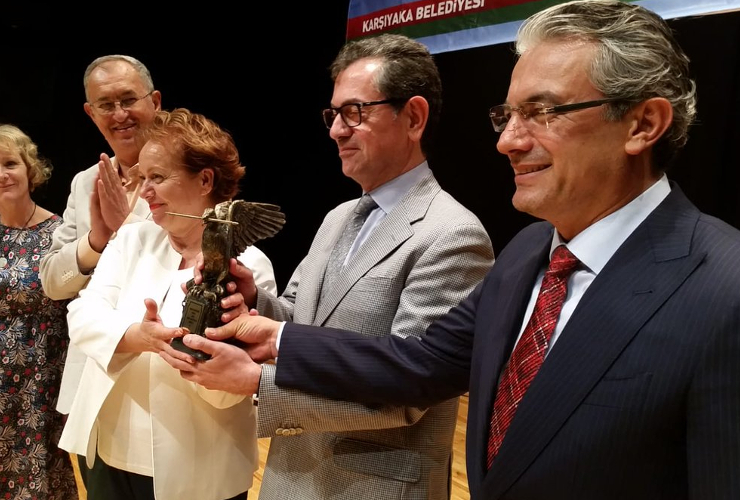 Joining Gürsel in holding the trophy are Misket Dikmen (L), president of the Izmir Journalists Association, and Hüseyin Mutlu Akpınar (R), mayor of Karşıyaka Municipality, which hosted the award ceremony. The İzmir Journalists Association awarded its 2018 Press Freedom Prize to the International Press Institute (IPI), a global network of editors, media executives and journalists, at a ceremony on September 7. The award was accepted on behalf of the IPI network by Kadri Gürsel, a renowned journalist and chair of IPI’s Turkey National Committee. Addressing the audience, Gürsel described the award, the announcement for which highlighted IPI’s I Subscribe campaign, as sign of support for solidarity amongst journalists around the world. Gürsel explained the principle behind the I Subscribe campaign, which encourages readers from around the world to subscribe to independent media in Turkey as an act of solidarity. He noted that IPI had launched the campaign due to the severe decline in press freedom in Turkey and to support the country’s few remaining independent media, beginning with the secular daily Cumhuriyet. “It is the responsibility of the people to protect press freedom and to protect their access to information and their right to form political opinion based on these facts”, he said. Gürsel added that the presence of representatives from IPI’s Vienna headquarters and the European Union at the event was proof of how seriously the international community takes the situation of press freedom in the country. Earlier, Simona Gatti, minister counsellor of the EU Delegation to Turkey, lauded IPI’s role in defending press freedom in Turkey. She continued: “Press freedom plays a crucial role in promoting good governance, transparency, and accountability. Independent journalism is vital to hold public administrations accountable. Free, diverse and independent media, both online and offline, are pillars of a pluralistic and open society. “Today I reaffirm the EU’s determination to keep protecting and promoting freedom of opinion and of expression as rights to be exercised by everyone everywhere, based on the principles of equality, non-discrimination and universality, through any media, within our borders and beyond”. IPI Head of Advocacy Ravi R. Prasad expressed IPI’s gratitude to the İzmir Journalists Association for awarding the prize to IPI. Caroline Stockford, IPI’s Turkey advocacy coordinator, thanked the İzmir Press Association, the mayor of the Municipality of Karşıyaka for hosting the ceremony, and the audience, and lauded Gürsel and other IPI members in Turkey for their dedication to press freedom. The mayor of Karşıyaka, Hüseyin Mutlu Akpınar, praised the work of Turkey’s independent journalists. 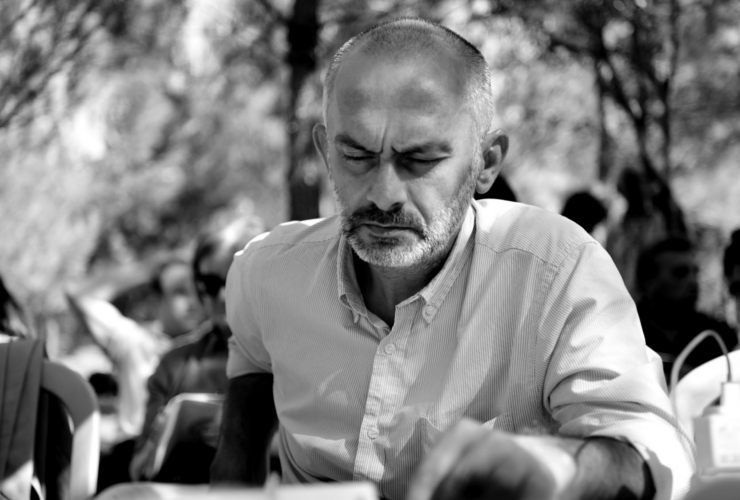 He even added that he had skipped the opening of the İzmir International Fair to attend the award ceremony. Freedom of the press, he said, took precedence.